SIR HOWARD VINCENT, K.C.M.G., C.B. e-text notes: This book was originally used by London's Metropolitan Police Force, adopted by police forces throughout the United Kingdom, and subsequently adapted for the use of police forces in other Commonwealth nations. 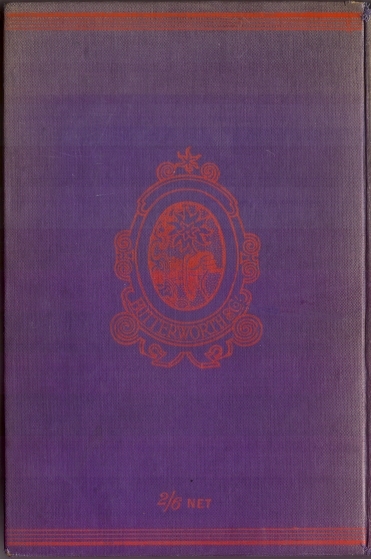 It is my belief that all European copyright in the original text has expired; however, the heirs of the late F. T. Bigham may still own copyright in the revisions he made for this edition. I have been unable to contact them, but would be grateful if they could let me know if there is any objection to continued free publication of this work. This volume did not originally have a table of contents, except at the start of the appendices. 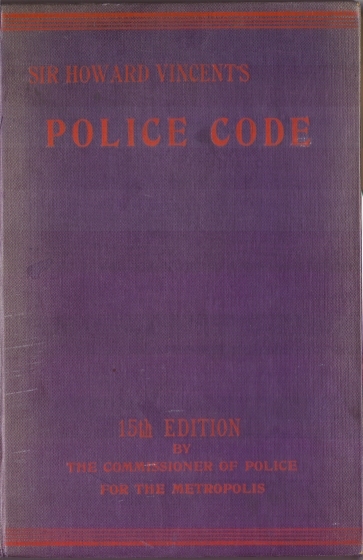 The main Police Code section is organized alphabetically; embedded links in the code correspond to the page numbers of the book, and are used as links from the Index and from many of the entries. For convenience I have added links to the first page for each letter at the beginning and end of this section. It should be obvious that this is NOT a reliable guide to current British law and police procedures; there have been many changes since this edition was originally published, not least in the degree of responsibility expected of constables. It's most useful as a snapshot view of law enforcement a century ago, which may be helpful to anyone reading or writing about this period, or as a starting point for finding the specifics of a later period. I've done my best to correct OCR errors etc., but undoubtedly some remain, and the original book was not entirely free of typos, inconsistent spelling and layout, etc. which I have only fixed in the worst cases. If in doubt you should try to refer back to the original volume; copies should be reasonably common, since it was for many years issued to most British policemen. Many thanks to Don Sample and Bridget Bradshaw for their help with proofreading etc.